Things have been really quiet here at tiny & little for the last month, haven’t they! Let’s just say there has been a lot of garlic, hankies (well, tissues) and hugs, so many hugs. There have also been sleepless nights, long days and even longer days until we began to wonder when the bad run was going to end. We looked after each other the best we could but I must admit there were times when it felt like we needed Lady Luck to give us a hand to shoo the bad vibes away. 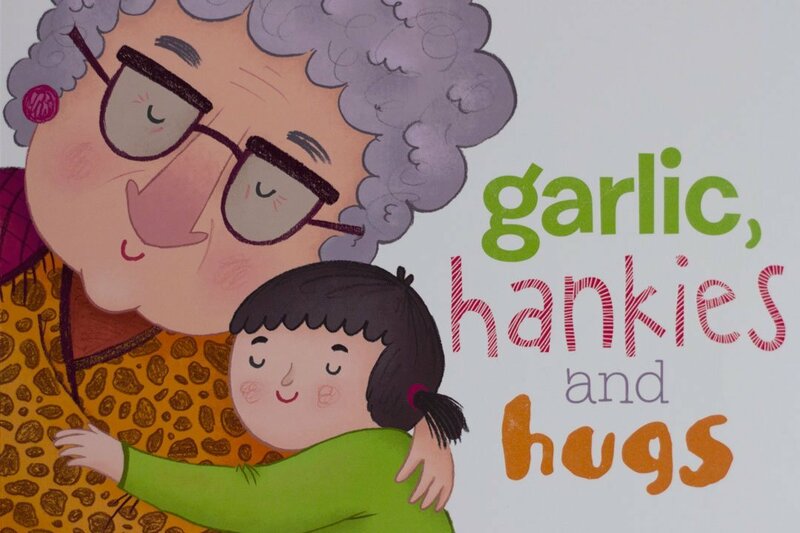 Lately we’ve been reading the children’s picture book garlic, hankies and hugs by Michelle Monaghan, a sweet book that embraces Greek culture in Melbourne and talks about just that – family looking out for each other. Some Greeks believe a person can catch the evil eye or matiasma from someone else’s jealousy, leaving them feeling sick and in need of a special prayer or word. This is where skortha comes in, the Greek word for garlic and which tradition holds you can say to ward off evil spirits, while spitting can be used to keep the devil away. In this charming picture book that celebrates multiculturalism and diversity, we join a little Greek girl’s visit to her Nanna. As she reaches her Nanna’s house she’s excited about the familiar smells from Nanna’s kitchen and the soon to be family meal, but before the meal comes tradition. Each of the family are greeted by Nanna as she follows the tradition of saying skortha and spitting to banish evil spirits, an act of grandmotherly love to care for her family. This picture book is aimed at children 4-10 years and is a perfect way to show children how in different cultures we have different traditions to celebrate. Author Michelle Monaghan uses rhyming verse to take us inside her own family’s kitchen to learn about this tradition, which remains to this day as her Nanna continues to greet her with the word skortha. garlic, hankies and hugs is a wonderful introduction to celebrating Greek culture and tradition as well as a great opportunity to talk about things we traditionally do to protect and care for our own families, because the basis of the skortha and spitting is looking after those we care about. We love learning about cultures different to our own and the traditions of other homes, and would recommend this book for little ones to learn about and celebrate Greek culture. 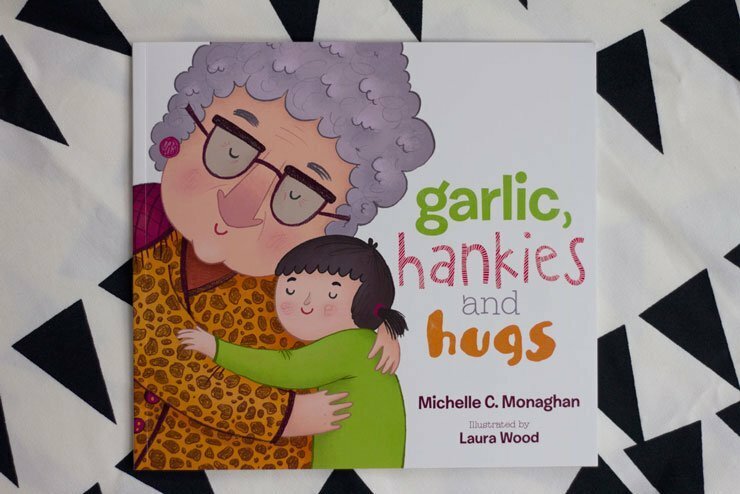 garlic, hankies and hugs by Michelle Monaghan is available from local and online bookstores. For more information, visit garlic, hankies and hugs on Facebook. tiny & little makes every effort to undertake reviews fairly and transparently. The views expressed in this review are the personal views of the reviewer and this review was not sponsored or paid for, however we received a copy of this book for review purposes.